A Connecticut non-profit is testing a new product to help low-income people overcome their particular obstacles to saving money. Innovations for Poverty Action is recruiting participants at the District Government Employees Federal Credit Union in Washington. The effort replicates a program already up and running in New York City. The product’s name, Super Saver CD, is a bit of a misnomer. It is a hybrid of a bank certificate of deposit and a traditional savings account. Its low minimum deposit – $15 – removes a formidable obstacle for people who can’t afford to shell out $1,000 for a CD. Innovations for Poverty Action was founded by behavioral economist Dean Karlan at Yale University, and it designed the Super Saver CD to help people to act in their own interest and save. The human behavior that drives the product’s design is that people don’t always do what they say they’ll do. 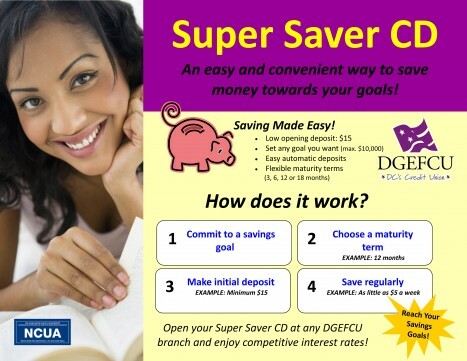 So the Super Saver CD requires that people commit to regular deposits. The idea is to encourage saving regularly, a little at a time, like a savings account. But once the money is put away, it can’t be touched – that’s where a CD-style commitment comes in. Rosa Sorto, who irons linens at a Washington laundry service for hotels and hospitals, said the program appealed to her because she can put the money away and forget about it. She won’t be tempted to fritter it away on small items. She opened a Super Saver CD on July 12 and set a goal of saving $1,000 in one year. “It’s a good way to keep it safe,” Sorto said through a translator, Rebecca Rouse, who is managing the program in the Washington credit union. Sorto also persuaded her daughter, Suleyma, to start one. They opened their CDs at a branch catering to the Mount Pleasant neighborhood’s large Central American population. Saving is hard enough, but try doing it on a low income. The consequences of any financial decision are much higher if you’re barely scraping by. Decisions aren’t about whether to indulge in some new bauble discovered at the mall. They’re more about what to have for dinner. Low-income people don’t tend to have financial planners or access to these resources through an employer, either. The Washington credit union program also has a reminder feature that wasn’t offered in New York. The program sends e-mails or text messages that remind people to make their deposits. This is intended to overcome another behavioral tendency that kicks in when people are asked to save: a limited attention span. Some Washington participants will receive messages and some will not, so that Innovations for Poverty Action can assess whether reminders are effective and increase follow-through or savings amounts. Other aspects of the program target other behaviors. For example, people put more value on today – it’s a lot more fun to buy something on a credit card today than to put money into the bank. To counter this and encourage participants, they can select a goal, such as a vacation or college. One CD matures at the beginning of the school year, another in time for Christmas shopping. “We’re trying to design products to get people addicted in their own best interest,” Rouse said. If the Super Saver CD works, there’s hope it can become a model program. That’s a great idea. We live in an over-consuming society that usually depends on credit and debt, so increasing savings it’s certainly a good thing, not only for individuals but for the economy as a whole, especially now with the debt crisis. The Super Saver CD sounds like a wonderful savings option. If I read your post correctly, if you signup for it, the bank will automatically deduct the amount you designate into the CD, at certain intervals, right? That would be perfect for my daughter (and me too LOL), who has a difficult time saving. Do you know if you can keep the CD saving program going once the time period ends — maybe change the CD into a normal one?